The widening gap between the wealthy and the poor in the U.S. is not news to many. Former Federal Reserve Chairman Alan Greenspan recently said that he considers this gap to be the most dangerous trend in the country. NerdWallet crunched numbers from the census to find that between 2007 and 2012, the average household income of the lowest-earning 20% of the U.S. population decreased by 3.7% to $11,797. Meanwhile, the average household income of the highest-earning 20% increased 4.3%, despite the recession, to $181,455 per household. This represents an alarming trend in the U.S. economy—the continuing rise in income inequality. The Brookings Institution recently published a report on inequality in America’s metropolitan cities. They ranked the nation’s 50 largest cities by the ratio of household earnings of the top 5% to earnings at the bottom 20%, and found that large cities are generally more unequal than the rest of the country. To take a different scope on this topic, we crunched the numbers to find the cities with the most income equality. Looking at the 303 U.S. cities and census-designated places with populations of at least 100,000, we created an income equality ratio of the mean income of the highest-earning 20% of households in each city to the mean income of the lowest-earning 20%. The lower the ratio, then, the more equal the place. The nationwide income ratio is 15.97, meaning the average household in the country’s highest-earning quintile earns nearly 16 times as much as the average household in the lowest-earning quintile. Check out NerdWallet’s places with the greatest income equality below. West Jordan is Utah’s fourth-largest city, and its population grew by 52.8% between 2000 and 2010, a significantly higher rate than the national population growth rate of 9.7% during that period. Despite its growth, the city enjoys the status of having the most income equality of all places in the U.S. with more than 100,000 residents. Thornton is located about 10 miles north of Denver and boasts a healthy suburban economy. The city, which grew by 44% between 2000 and 2010, enjoys the presence of nine major universities within a 45-mile radius, and these education and economic opportunities contribute to Thornton’s low ratio. Surprise is about 25 miles northwest of Phoenix, and was one of the fastest-growing cities in Arizona over the last decade—its population grew by an astounding 281% between 2000 and 2010. The city’s residents enjoy several local amenities, including a community aquatic center, a tennis and racquet complex and a stadium that serves as the spring training home to the Texas Rangers and Kansas City Royals. West Valley City is a suburb of Salt Lake City and is the second-largest city in Utah. Its relatively low ratio shows that the income gap in West Valley City is only about half as much as the national average level of inequality. The city boasts more than 4,500 businesses along with 22 parks and 25 schools. As a suburb of Dallas, Frisco has experienced tremendous growth—the city’s population grew by 247% in the last decade. Its strong income ratio and extremely high median household income are signs of a healthy economy. Frisco is often regarded as one of the best places in Texas to live, and it made NerdWallet’s list of best Texas cities for young families last year. Centennial is one of several cities in Colorado among the top 50 places with the greatest income equality. Belonging to the Denver-Aurora metropolitan area, it is an economically healthy suburb and in 2009 was named one of the safest cities in America. Miramar earns the designation of the most economically equal city in Florida. Centrally located between Miami and Ft. Lauderdale, it is home to several companies’ headquarters, including Spirit Airlines, and offers many amenities to its families, such as 22 neighborhood parks, 10 community parks and one regional park. Temecula is a major tourist destination thanks to its location in the heart of California’s South Coast wine region, and indeed, tourism is one of its greatest economic drivers. The city is also a great place to live, as evidenced by its high median household income and its relatively low rich-poor ratio. After experiencing a nearly 4,000% growth in population between 1980 and 2012, Gilbert is the largest incorporated town in the U.S. 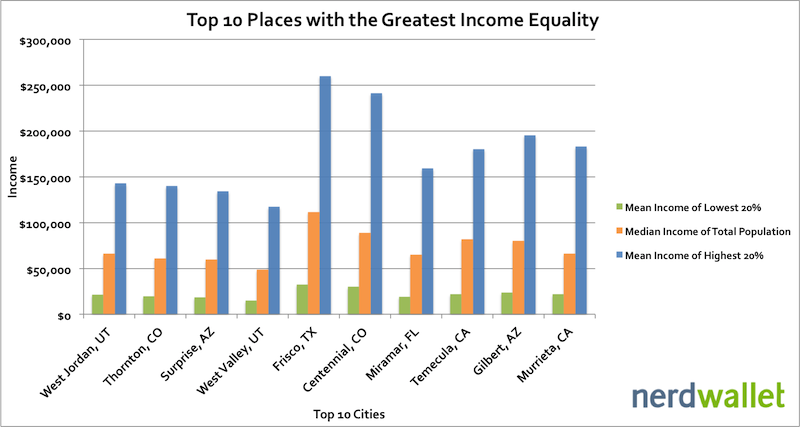 It is also the largest among the top ten places with the greatest income equality, which is noteworthy because larger cities are typically home to greater inequality. Murrieta is the second Riverside County city in the top ten, following nearby Temecula. It was one of the fastest-growing large cities in the state between 2000 and 2010, with a 133.7% jump in population. The city is home to many residents who commute to jobs in Temecula, Los Angeles County, San Diego County and Orange County. The income ratio was calculated by dividing the mean income of the highest-earning quintile by the mean income of the lowest-earning quintile in each place. 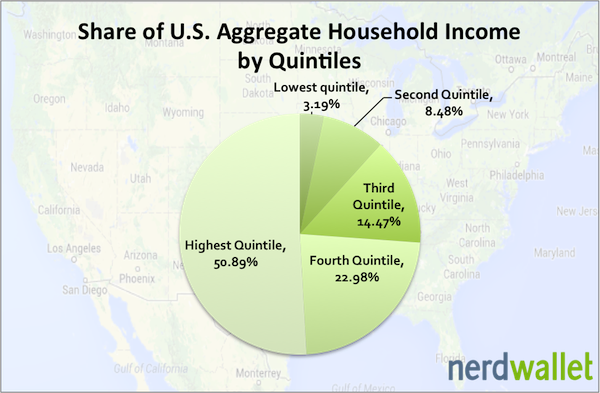 All income and population data was obtained from the U.S. Census Bureau’s 2012 American Community Survey. 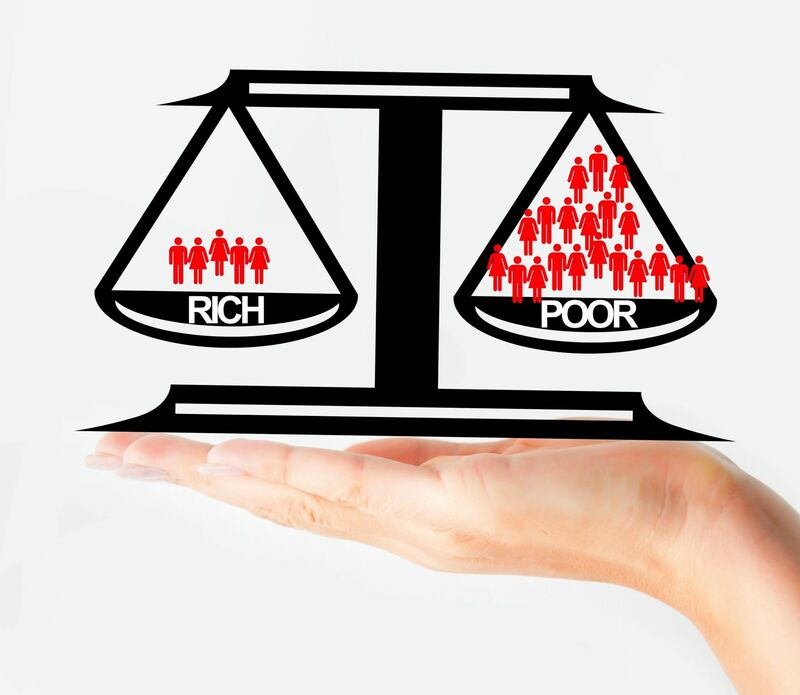 Income Equality image from Shutterstock.